OnGuard Pest Control is a family owned and operated pest control business that has been helping people live more comfortable lives within their home and work place for more than four decades. Located in the heart of Brooklyn, New York, OnGuard Pest Control provides the highest level of customer service and unmatched experience and professionalism. We offer the best pest control solutions, ensure the safety of our customers, their families, pets, and the environment, and work in both residential and commercials settings. Our dedication to excellence begins with superior customer service and compassion and through professional principles that are unmatched by our competitors. Every OnGuard Pest Control team member is certified as pest control applicators so that regardless of whom you speak to, you can rest assured you are receiving knowledgeable and professional advice. We offer monthly pest management that includes treating commonly infested areas such as bathrooms, loading docks, lounges, storage areas, offices, locker rooms, hallways, and more. Through environmentally sound sprays and powders to traps and bait, we use the most effective methods to help protect your investment from unwanted invaders. Roaches can be one of the most formidable pests and while many New Yorkers seem to accept their presence, you shouldn’t have to. We determine what is attracting them to your property, where they are coming in, and develop an effective plan that eliminates them and prevents them from returning. 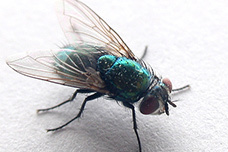 Most common during the spring and summer months, flies are attracted to a variety of substances, from garbage to fruit, from flowers to food, and much more. Eliminating the breeding sites is a crucial element to controlling flies, and we also treat their resting areas, effectively removing them from your home or office. OnGuard Pest Control visually inspects the property in question, searching for evidence of rodents, such as droppings, nesting, entry points, and recent activity. We then offer a treatment plan that can include strategically placing bait stations near runways, entry points, and near areas of recent activity. We then seal entry points to ensure that they don’t return. We offer residential extermination services for any pests in your home. 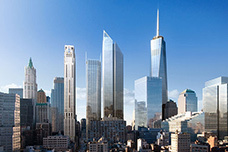 Our solutions are effective and reasonably priced. The services that we provide involve a simple three-step approach. 1. Detect. The first task of any pest control situation is to inspect, investigate, and identify to full nature of the problem pests, where it hides, and anything that could be contributing to them being there in the first place. 2. Eliminate. 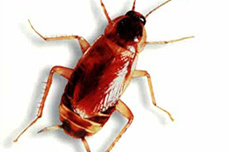 We develop of plan to eliminate these pests. We discuss this plan with you, our valued customer, and only offer the safest and most economical solutions possible. 3. Prevent. 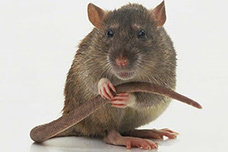 What good is pest control is the invading nuisance simply returns in a few weeks or months? We seek out the entry points, potential attractions, and work with you to proactively prevent future infestations. 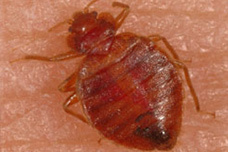 When other pest control companies have finished ridding your home or office of bed bugs, they pack up and go home. At OnGuard Pest Control, however, we know that prevention and protection are the keys to keeping you safe from the invading pests. 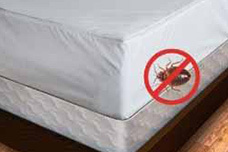 That’s why we offer protective mattress and box spring covers.